Wipes such as moist toilet wipes, baby wipes and personal care wipes are a growing category. They meet the consumer’s need for personal hygiene, convenience and a clean and healthy environment. Flushable wipes are a great example. But how do you know, as a retailer, if the flushable claim made by the manufacturer is substantiated? How can you continue to perform your role as good stewards of the environment and supporters of the local community? Edition Four of the Guidelines for Assessing the Flushability of Disposable Nonwoven Products (GD4) and labeling Code of Practice (2017) can help. Since 2008, INDA and EDANA have published Guidelines for Assessing the Flushability of Disposable Nonwoven Products. Now in its fourth edition, these voluntary guidelines are used by companies in the nonwovens industry to test products to assess flushability. If the product does not pass all tests, then a flushable claim cannot be made and our “Do Not Flush” symbol is placed on the packaging. We encourage you to work with your suppliers to comply with Edition Four of the Guidelines and the accompanying labeling Code of Practice (2017). 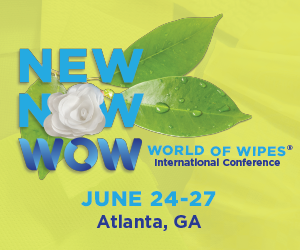 If your wipes supplier complies with Edition Four, you have confidence in knowing the wipe is indeed flushable and will not adversely impact the wastewater stream or the environment. Feel free to download Edition Four of the Guidelines, labeling Code of Practice (2017) and other materials to share with your suppliers. INDA Members, please contact Misty Ayers, Marketing Coordinator, mayers@inda.org to obtain your free copy of the Flushability Test Methods.